What Models are Available in the Acura Sport Hybrid Line? The Acura Sport Hybrid line is a stunning new holistic approach to electric hybrid performance. As more luxury brands move toward hybrid and EV vehicle options, Acura is setting a high standard. The Sport Hybrid system combines engine power and direct electric torque for an unexpected new premium performance, one that feels and drives just like the supercars you love--but with a twist. The Acura Super Handling All-Wheel Drive™ system found on every new Acura Sport Hybrid model was engineered specifically to work with the electric Twin Motor Unit. This means that it can more easily offer independent torque distribution to each rear wheel (or front wheel on FWD models) for sportier handling. Learn more about the new lineup of 2019 Acura Sport Hybrid cars and SUVs at our dealership in Overland Park today. 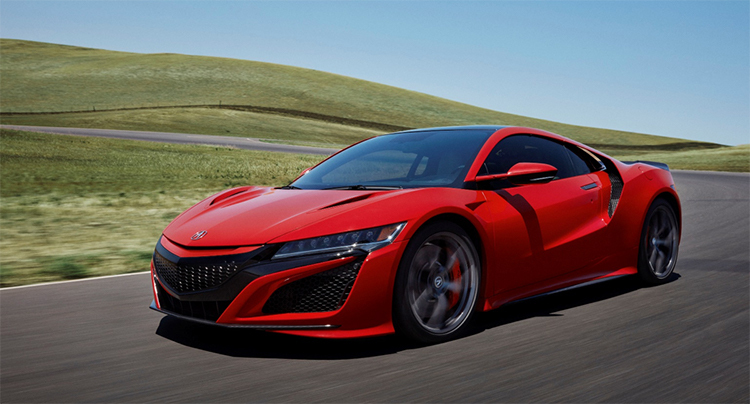 The Acura NSX Sport Hybrid is a one-of-a-kind hybrid-electric supercar that makes a statement wherever it goes. It uses an exclusive bespoke Sport Hybrid Super Handling All-Wheel Drive system and delivers up to 573 horsepower from its impressive powertrain. It has a top speed of 191 miles per hour and can sprint from 0 to 60 miles per hours in just 2.7 seconds. The Acura RLX Sport Hybrid is a handsome and exhilarating hybrid-electric luxury sports sedan that brings the best of premium comfort to a more economical type of performance. It boasts 377 horsepower from its standard powertrain option, pairing engine and motor to a smooth 7-speed transmission. It's practical enough for city driving, but fun enough to satisfy anyone. The Acura MDX Sport Hybrid is a one-of-a-kind three-row hybrid-electric luxury SUV that redefines what a family crossover can do. This SUV delivers 321 horsepower from its hybrid powertrain system paired to a 7-speed automatic transmission. When equipped with its standard Sport Hybrid SH-AWD system, the 2019 Acura MDX Sport Hybrid offers improved handling, improved capability, and power like no other.